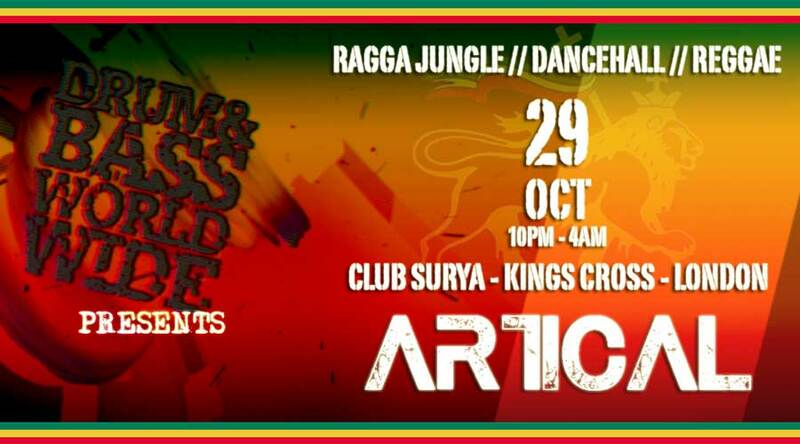 DrumAndBassWorldwide presents ARTICAL - Saturday 29th October 2016 @ Surya London! The Worldwide Godfather RIPS DJ, alongside Worldwide residents DARKONE, SNOOPS D, D-ZIRE, YABBA, CARLY G, MC MR GEE & MC ILLMATIKA head back to Surya London for the next installent of ARTICAL! 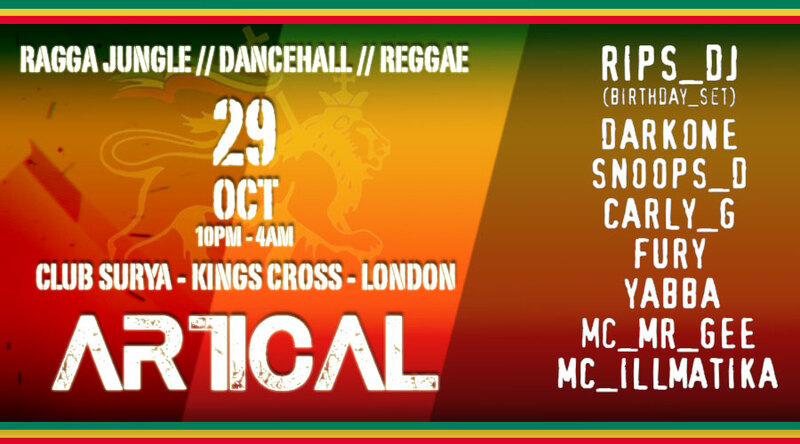 With a selection of the very best Ragga Jungle, Dancehall and Reggae, it's going to be a night to remember! Catch an exclusive Birthday Special set from Rips DJ, Jungle sets from Darkone, Fury & Yabba with MC Mr Gee, plus Dancehall & Reggae played by Snoops D and Carly G!